 The Karl Popper Kolleg (KPK) is a centre for research and doctoral studies founded by Alpen-Adria-Universität Klagenfurt in 2014. The links between KPK and AAU foster long-term synergies between promising young researchers to collaborate with international researchers at the cutting edge of their fields (scientists in residence). Initially, once per programme cycle, two researchers of excellent scholarly reputation appointed Karl Popper Fellows will come to Klagenfurt to conduct research at AAU for one semester. The KPK contributes to internationalization and openness of the region; enhances the region’s reputation; offers exciting opportunities to highly-qualified young researchers and also generates long-term secondary or “multiplier” effects within the region. The KPK is based at the Klagenfurt campus. Initially, two fellowships will be offered at each college: one postdoctoral fellowship (age limit applies) and one senior fellowship. The fellowships will run for a period of three to six months. Karl Popper Fellows typically take a sabbatical from their home institution and receive full board, as well as a grant to cover extra expenses. From 2015 to 2018, the theme for the first cycle at Karl Popper Kolleg is Modelling – Simulation – Optimization (MSO) in the field of Mathematics and Technical Sciences. 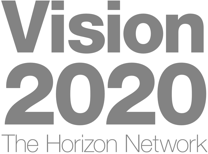 Future fellowships will be awarded following a tender process. There is no set topic, however interdisciplinary topics are particularly welcome. Sir Karl Popper (1902–1994) was an Austrian-British philosopher whose works on epistemology and the theory of science and on social, historical and political philosophy laid the foundations of critical rationalism. From 1949 to 1969, he was a professor at the London School of Economics (LSE), as well as a Fellow of the British Academy and Fellow of the Royal Society. He is also considered to be one of the most influential philosophers of science in the modern age: his ideas have influenced research logic in a variety of ways and have even changed the process of research itself, regardless of discipline. AAU is home to the Karl Popper Foundation and the Karl Popper Library. AAU also holds the exploitation rights for Popper’s works. The doctoral institute was named after Karl Popper in recognition of the breadth of his writings, his status as an epistemologist, his interdisciplinary significance and his links to AAU. Extension work is currently being undertaken at the KPK. Further extensions to systematically increase the international visibility of the university and the region are planned for the coming years. Would you like to help the Karl Popper Kolleg grow? We’re pleased to hear it! Please get in touch.